Last year my friend Leslie’s daughter Antonia had a swimming party for her birthday and I made her a dolphin cake. This year Antonia had an ice skating party so Leslie wanted a cake that was white and sparkly, like ice. Snowflakes and glittery sparkles seem like a perfect match. 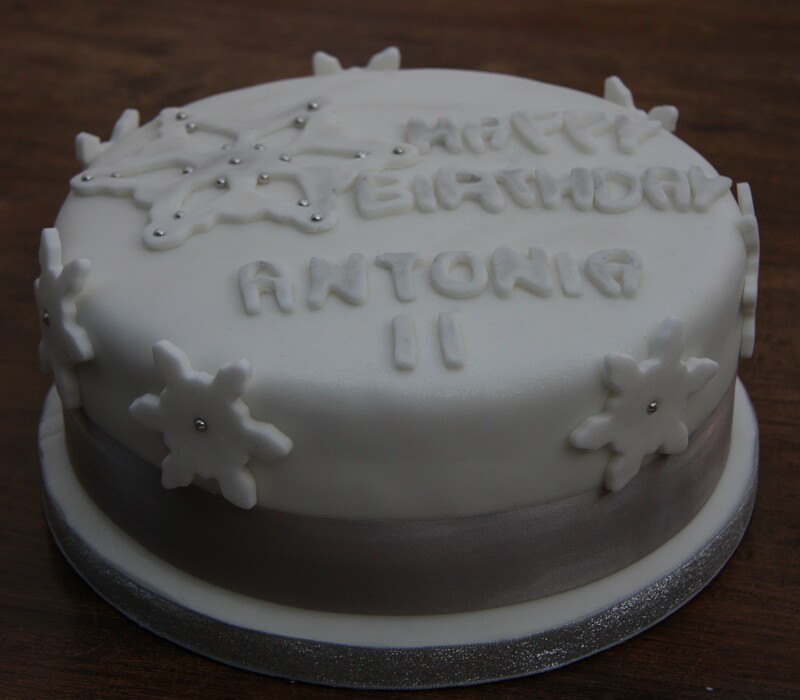 Unfortunately taking pictures this time of year using natural light is quite challenging so the glitter dust doesn’t show up brilliantly, but the top of the cake is dusted with glitter powder aptly named “snowflake” and the writing dusted with silver powder. This would be a great base for a Christmas cake also. I love the glittery base ribbon and was very disappointed not to find the same one in a wider version. 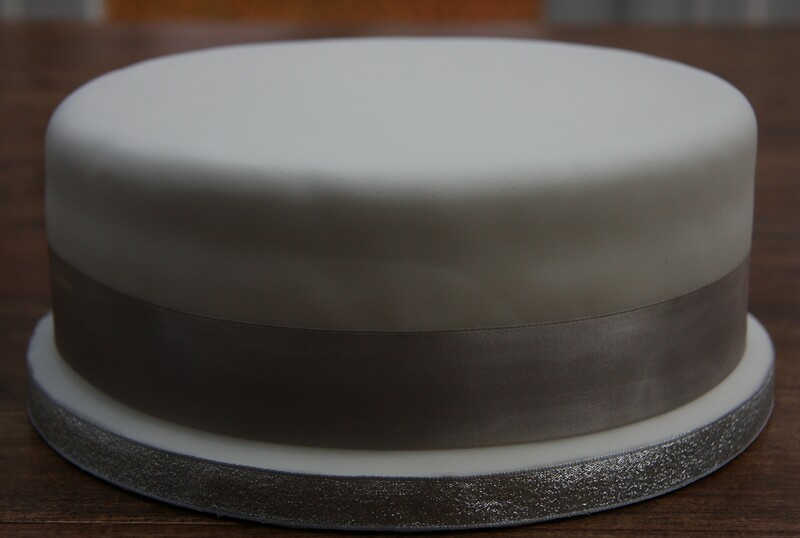 Luckily I think the plain silver wide ribbon still works well. Then it is just a question of building up the snowflake design. I wanted a snowflake on top and added the silver balls to give a bit of definition and glitz. 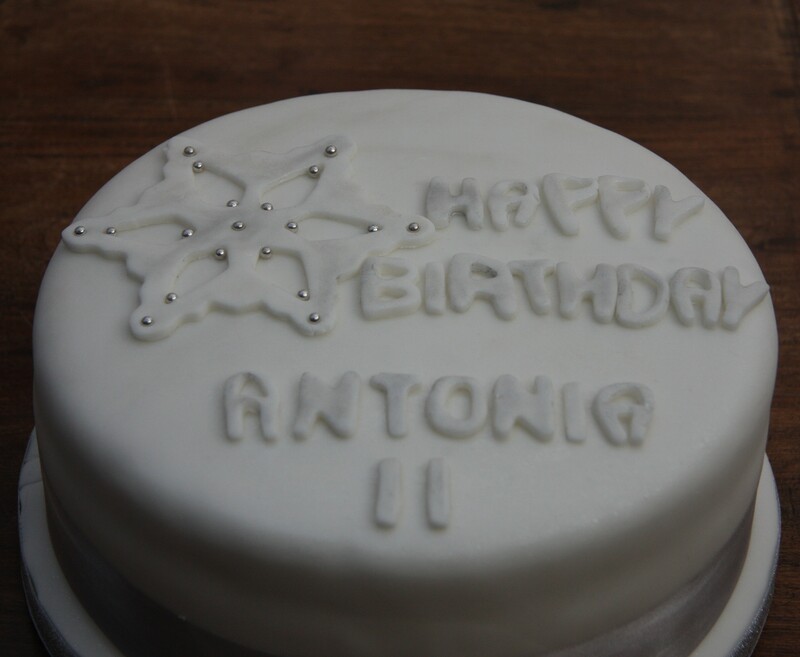 I used silver dust on the white icing for the writing so that it would stand out from the white cake and tie in with the silver ribbon. Then it just needed a bit of height and some more snowflakes. I cut out the snowflakes for the side, gave them a dusting of glitter and let them harden so that they would stand up. I usually use water as a glue with sugarpaste but this time I used edible glue to stick them on the sides of the cake, just in case. You could also use royal icing. On this cake I decided less was definitely more and stuck with a very simple design. 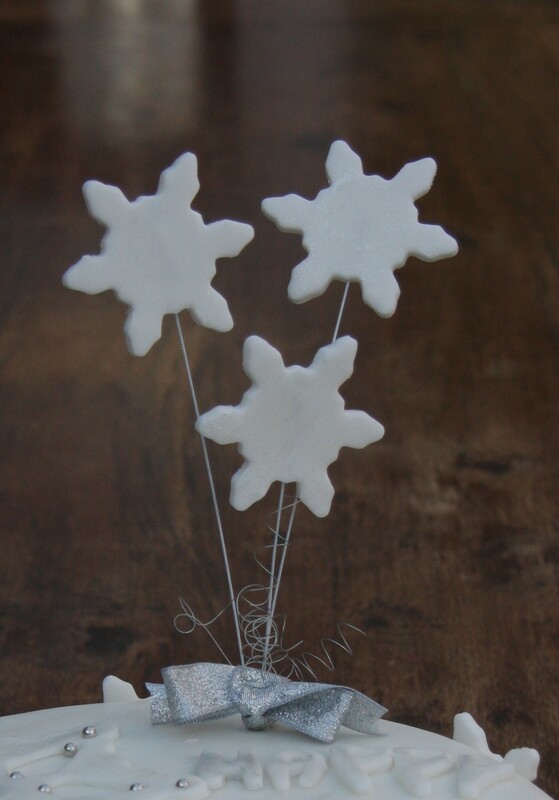 The topper is made of just three plain snowflakes, some silver twirly bits and a glittery ribbon bow. I’m still waiting for real snow but in the meantime this cake is the nearest I will get to it!